HILLSBORO, Ore. - Sept. 17, 2018 - PRLog -- You're invited to the Grand Opening of Lennar's The Cascade Collection at Butternut Creek in Hillsboro on September 29th from 12 to 4 p.m.! Come out and tour an exceptional mixed-use community showcasing new homes with Everything's Included® features and home automation technology, located within an amenity-rich setting. Butternut Creek presents homeshoppers with an incredible opportunity to own a new home in a setting like no other! "We're very excited to be Grand Opening a beautiful collection of new homes that elevate the every day living experience with our Everything's Included® package that now includes home automation technology—all at no additional cost," said Sia Howe, Marketing Manager for Lennar Portland. "With a wide variety of floorplans and sizes to choose from, The Cascade Collection has something for families of every type—from first-time homebuyers, growing families, or empty-nesters. So, come out and find a home that's right for you!" The Cascade Collection offers seven distinct floorplans, six two-story floorplans and one single-story floorplan. Homes range in size from approximately 1,891 to 3,430 square feet of living space including three to five bedrooms, two to three bathrooms and start from the low $500,000s. Enjoy floorplans designed for the modern lifestyle with open layouts encompassing great rooms, dining rooms and upscale kitchens that make entertaining easy, convenient first-floor bedrooms, enviable master suites with luxurious bathrooms, kitchens with plenty of cabinet space and a large center island, flexible study and bonus rooms, plus enough secondary bedrooms for the whole family. With your new home at Butternut Creek, Everything's Included® and every room's connected, Lennar's signature program includes an array of today's most popular features and upgrades in your home at no additional cost, from stainless steel appliances, exquisite countertops, energy-efficient appliances and so much more. The program now includes Lennar's new Wi-Fi CERTIFIED® home designs which feature built-in wireless access points that provide strong internet coverage in every single room. With no dead spots, you can make the most of the home automation features included for a truly connected living experience. Lennar's popular Next Gen® – The Home Within a Home® design is available with the Bainbridge floorplan for homeshoppers looking for a home that not only meets their families, but also their parents. The unique design provides a separate living suite attached to the main home complete with its own separate entrance, bedroom, bathroom, kitchenette and living area. With the Next Gen® design, no party has to sacrifice their privacy or comfort. 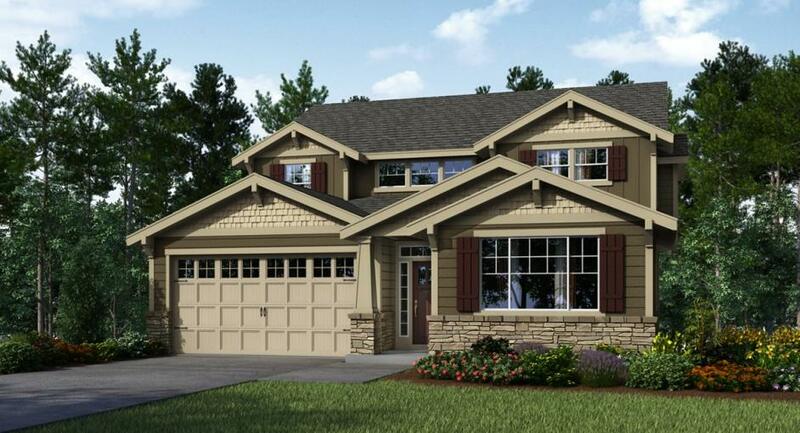 Butternut Creek (https://www.lennar.com/new-homes/oregon/portland/hillsbor...) is located in picturesque Hillsboro which puts you in the middle of countless outdoor recreation opportunities and stunning natural surroundings. With so many nearby trails, wetlands, nature reserves, parks, and more, it's easy to get out and enjoy the beauty Oregon offers. And, with downtown Portland and its vast shopping, dining, and entertainment opportunities located just 14 miles away, you really can enjoy the best of both worlds. Prospective homeshoppers are encouraged to attend the Grand Opening of The Cascade Collection at Butternut Creek on September 29th. For more information, please visit www.lennar.com.